Fitted Stretch Chair covers supplied and styled by Fuschia with Vanilla Bow. A couple of weeks ago Fuschia dressed a Civil Ceremony Wedding at the Henley Town Hall. It is now over a year since they gained their licence. The licence was obtained with the help from wedding and event planner Sarah Ducker from SJD Events Ltd and the Henley Town Hall and Louise Hastings. Both assisted with the wedding fayre which Fuschia exhibited at to launch the venue to the local community last year. 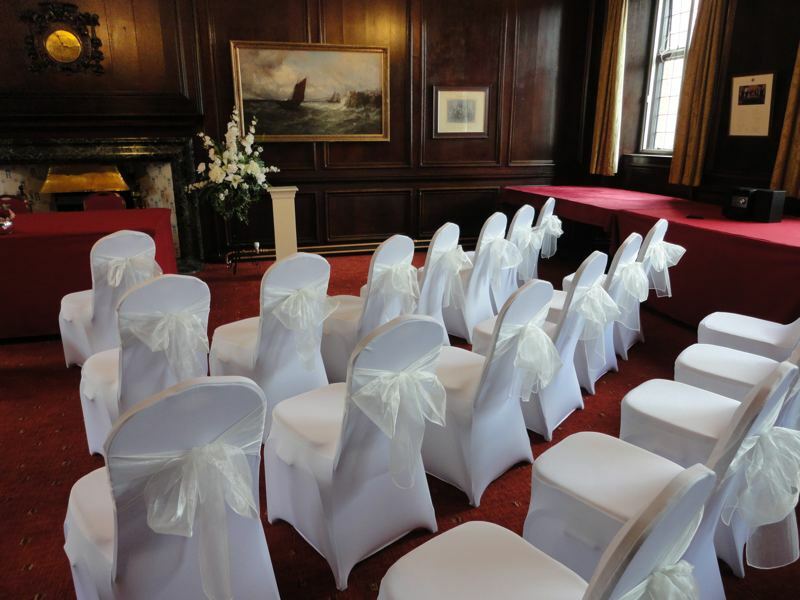 For the civil ceremony we used our fitted stretch chair covers for our customer with vanilla organza bows. These look great for a classic looking wedding. These are a fantastic price at just £2.75 each with bow plus the set up on the day. 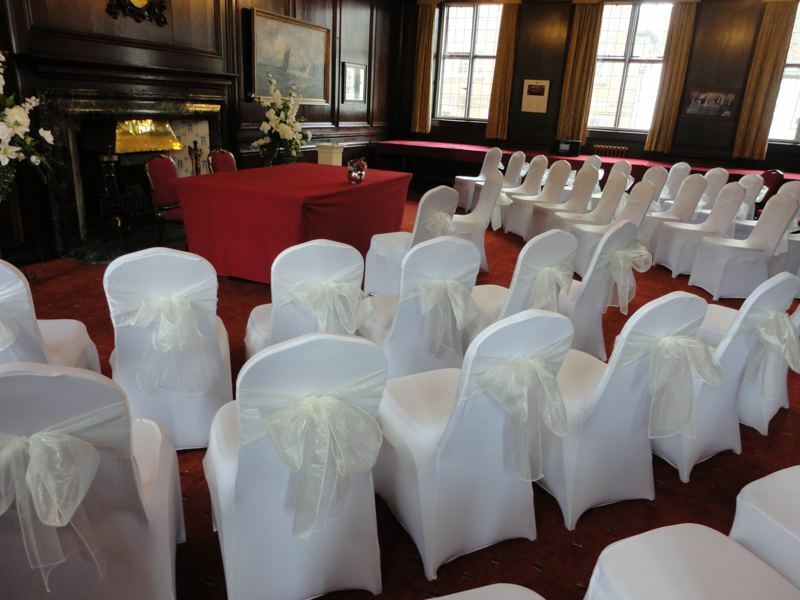 If you are looking for a venue to has a civil ceremony or reception then why not check out the Henley Town Hall. This entry was posted in Real Life Weddings, Weddings and Celebrations and tagged Chair cover & accessories for Henley Brides, chair covers for Henley Town Hall, Henley Town Hall licensed for weddings, Henley Wedding Planner, Henley wedding venue, Henley Weddings, SJD Events on May 23, 2012 by fuschiadesigns.